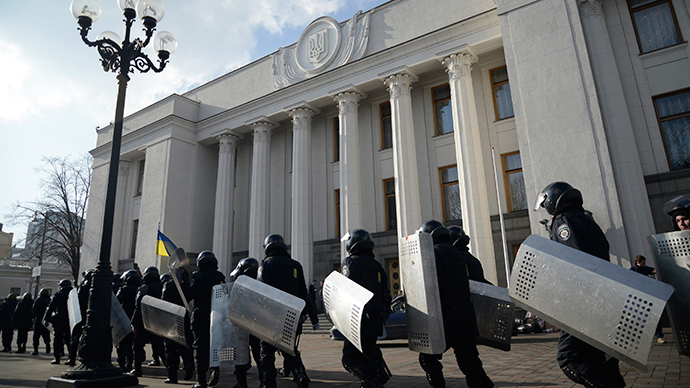 Ukraine’s anti-Russian drive targeting war monuments continues. The latest victim is the Russian army commander who fought against invading Napoleon troops and chased them back to Paris. 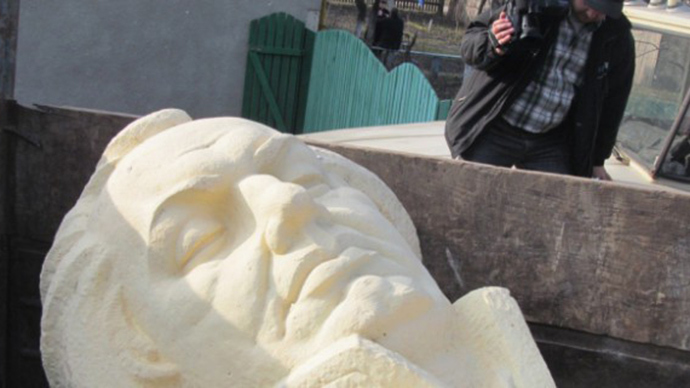 The monument to Field Marshal Mikhail Kutuzov, who is praised in Russia as one of the best military commanders in the country’s history, was demolished in the city of Brody in Western Ukraine, reports Korrespondent newspaper. The bust sculpture was taken off its plinth on Monday by municipal workers with a crane. The plinth was later demolished. 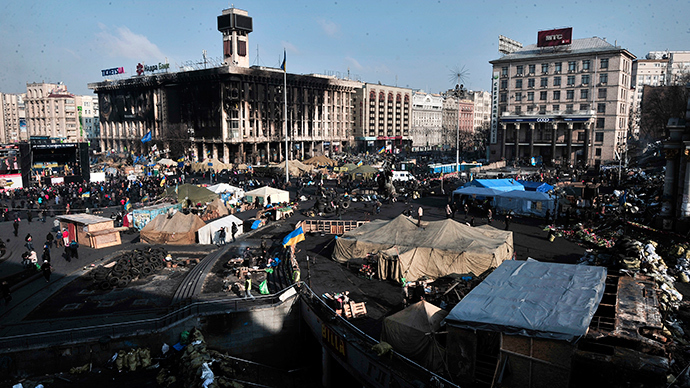 Local residents cheered the demolition, shouting “Glory to Ukraine, glory to heroes,” the Ukrainian nationalistic slogan which came to national prominence lately due to its use by the Maidan protesters. The site where Kutuzov’s monument used to be may eventually host another monument dedicated to those people killed during the protest wave which ousted Ukrainian President Viktor Yanukovich, according to a vesti.ua report. The nationalist Svoboda party, which played a key part in the Maidan protest, had been trying to demolish the Kutuzov monument since at least 2008, arguing that he had nothing to do with Ukrainian history. A local council approved the move of the memorial to a less prominent location in December, though it is not clear if the haste to dismantle the monuments has been prompted by current political events. Opponents of the initiative said that the military commander’s decisions as head of the Russian army led to Napoleon’s abandoning the idea to retreat from Russia through Kiev, which prevented likely pillaging of what is now Ukraine. Prior to the invasion Kutuzov served as the military governor of Kiev and fought against French allies, the Turks. The military campaign led to territorial gains for the Russian Empire and made it impossible for Napoleon to invade the country from the south. The eventual fate of the demolished monument is yet to be decided. 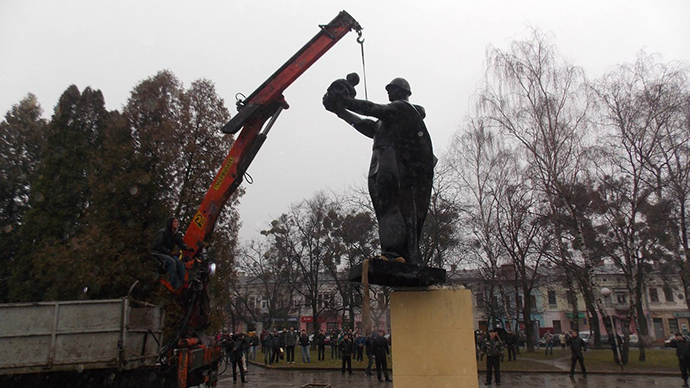 The move comes a day after local activists demolished a war monument in Western Ukraine. The monument to Soviet troops fighting against Nazi Germany was torn down in the town of Stary. Ukraine also saw a spree of vandalism against monuments to Soviet leader Vladimir Lenin, with dozens destroyed throughout the country over the three months of protests.